Students at Samata-i-uta Primary School in Savai’i have a reason to look to the future with excitement. Their learning environment will be improved immensely with the reconstruction of eight new classrooms, a staff room and library, thanks to Japan. The agreement to make the $279,308 project happen was signed yesterday between the Japanese government and Samata-i-uta. 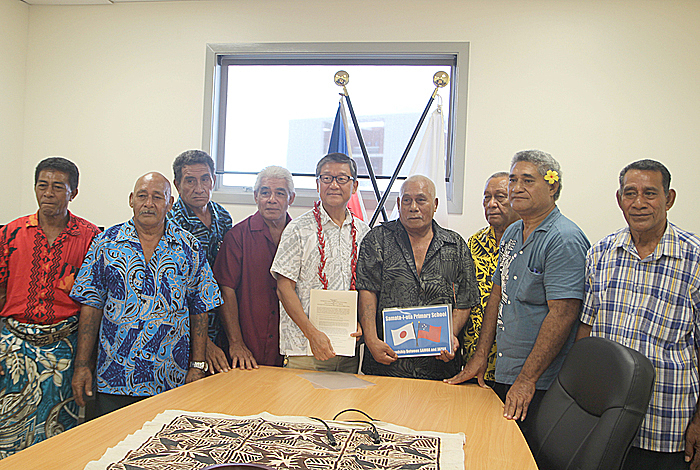 Ambassador of Japan to Samoa, Tuimaugaoalii Kazumasa Shibuta signed on behalf of Japan while the President of Samata-i-uta Primary School Committee, Selu Malaki, represented the village. According to a statement from Japan’s Embassy in Samoa, this is the second project awarded by Japan in 2017 under Grant Assistance for Grassroots Human Security Projects (G.G.P.) scheme. After the signing, Tuimaugaoalii reiterated Japan’s priorities. 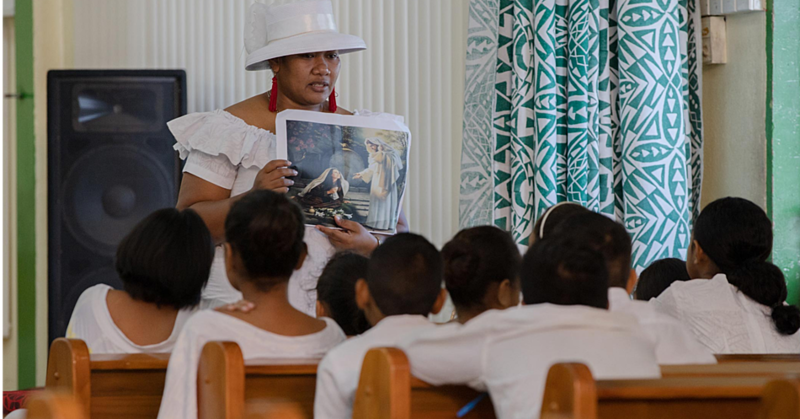 Among them is its strong support for education in Samoa. 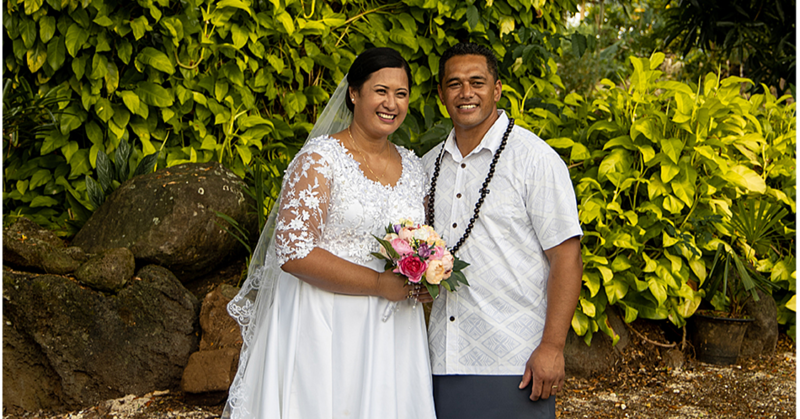 “We have been in the forefront and working hand in hand with the Government of Samoa in supporting communities in rural areas in order to meet MSM standards and improve quality education in Samoa,” Tuimaugaoalii said. Ambassador Tuimaugaoalii hoped that projects like this would strengthen the friendly ties between Japanese and Samoan people. 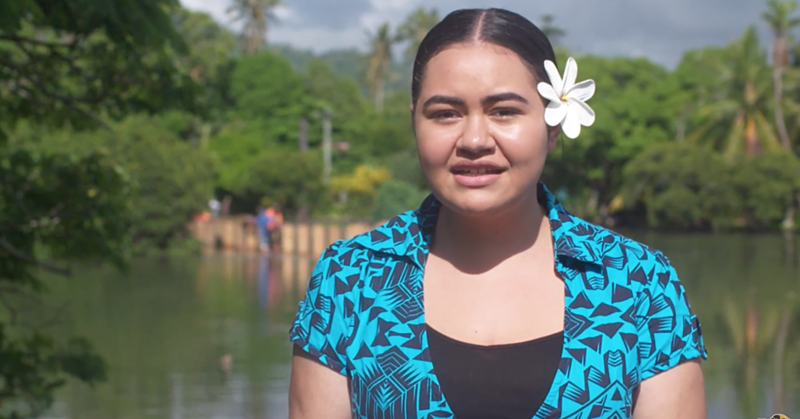 Japan’s G.G.P was launched in 1991 to support small scale projects directly benefitting the grassroots level as well as contributing to the socio-economic development of the Independent State of Samoa. Since then, various grassroots projects have been implemented by non-governmental organisations (N.G.Os), local government units (L.G.Us) and other non-profitable organisations. "Having not only Pio into our family but also his two lovely daughters is such a blessings and I feel confident for my sister as she has found the one and true one for her"